As the special hard alloy aluminum sheet, the component of 2024 aluminum sheet is suitable and has a good Comprehensive performance. 2024 aluminum sheet is widely used in the industrial market. The features of 2024 aluminum sheet including: high strength, some heat resistance property and can be used as the components below 150℃. If the temperature is higher than 125℃, the strength of 2024 aluminum sheet is higher than 7075 aluminum sheet. Its formability property will be better during the process of hot state, annealing and new quenching state. But corrosion resistance of 2024 aluminum sheet is poorer. 2024 aluminum sheet belongs to the high strength aluminum products, which can be hot processed. The Plasticity of 2024 aluminum sheet is medium and has good welding performance. During the Quenching and cold hardening, the 2024 aluminum sheet has a machinability performance. 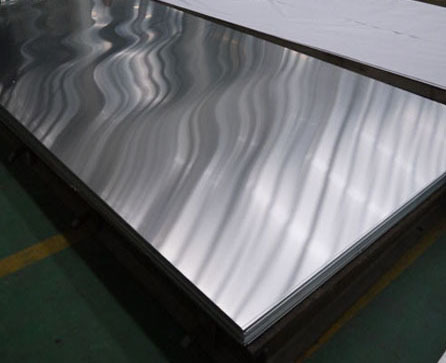 2024 aluminum sheet is widely used to produce the High load parts and components, such as the Frame parts, skin, frame, wing, rivet in the airplane.